It used to be that people suffering with back pain and achy joints could point their finger at changes in the weather. Changes in temperature, humidity, and air pressure have long been blamed for aggravating these conditions, but a study of 1,350 back pain and arthritis patients showed no association between their pain and the weather conditions. For the many millions of Americans dealing with back pain, that might not be good news since it leaves some unanswered questions as to why the pain persists. The most common treatment options for people with back pain start with over the counter mediations, usually pain killers and anti-inflammatories. These might help to take the edge off the pain, but the fact still remains that the underlying reason why the pain is there in the first place never gets addressed by the use of medications, whether over the counter or prescription. 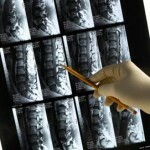 When you have back pain, it can be caused by several structures. When people say “my back hurts,” it can be a problem with the vertebrae of the spine or the soft tissues that support the spine. Regardless of the source of pain, it is important to correct the root cause of the problem so that it doesn’t persist. 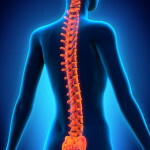 Your spine is designed to provide protection for your spinal cord as well as all of the nerves that branch off of it. While it might not seem feasible at first, many cases of back pain originate at the very top of the neck. The entire spine is connected like links in a chain. When the top of the chain is not in proper alignment, it affects everything else below it. The atlas vertebra, which sits at the very top of the neck, has the most range of motion of the entire spine. This makes it particularly vulnerable to misaligning, and can cause a domino effect of compensations down the rest of the back. Upper cervical chiropractic is a way that many people are correcting their back pain problems at the cause. By addressing the top link in the chain, everything beneath it is allowed to return back to normal, reducing stubborn, chronic back pain so you can get back to living life.